Right now we are looking for a Communications Intern to join our crew in Malmö, Sweden. We are seeking an individual who is passionate about live music and wants to join a global movement creating music events booked by fans – but foremost a creative who loves social media, blogging and communications, and who wants to be a part of a small and ambitious team. If you believe you fit the description below, send us your resume and letter of interest to crew@emues.com. As a Communications Intern, you will work with the Emues team to support core communication activities, including social media, the Emues blog, user engagement, and events. You will have the chance to showcase your unique skills within communication strategies, media production, social media, music reporting, and more. Location: Malmö, Sweden. The intern will have a flexible work environment, with the possibility of working from home and in other creative spaces – but must be available for team meetings. Application Review: On a rolling basis – We will review applications and hire as we find suitable candidates. Does this not suit your description? Are you passionate about live music and believe in the Emues concept – that fans should have the possibility to book concerts? Perhaps you should apply to become an Emues Activist! Do you want to intern with Emues? Right now we are looking for interns to join our global crew. We are seeking individuals who are passionate about live music and want to join a global movement creating music events booked by the people. If you believe you fit the description below, send us your resume and letter of interest to crew@emues.com. As an Emues intern, you will work with the Emues team with recruitment, user engagement, event management, and communications. You will have the chance to showcase your unique skills within event management, media production, social media, music reporting, and more. You will also be a part of the global team of Emues Activists. Emues Activists believe in the power of live music, in the power of people coming together and creating something beautiful. We believe that live music should be available for any fans who have the will to make it possible. Application Review: On Rolling Basis. We will review applications and hire as we find suitable candidates. your creativity is the driving force and you will get the credit for the outcome. you engage artists, venues, and fans in your community (even if that is your global community – at Emues there are no limits) to book shows, tours, & gigs. you will become a part of a growing network and showcase your skills to the world. 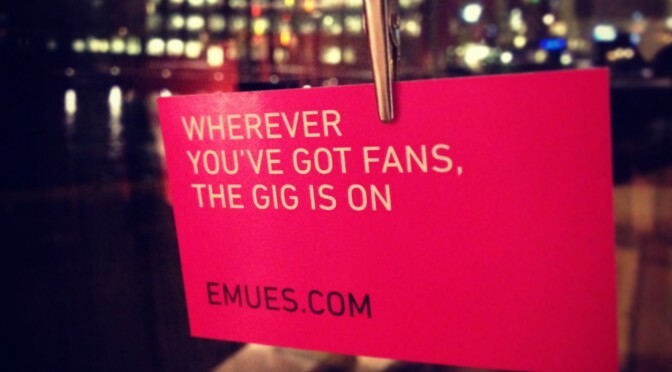 you will be given support from Emues staff to create unforgettable events booked by fans. you will be included in the global team of Activists contributing content to the Emues blog and social media channels. Right now we are looking for Emues Activists to join our global crew. We are seeking creative individuals who are passionate about music and want to join a global movement creating live music events booked by the people. Wherever you are in the world, if you believe you fit the description above, please let us know by sending an email to crew@emues.com. Right now we are looking for interns to join our global crew. We are seeking individuals who are passionate about music and want to join a global movement creating live music events booked by the people. It is your interests, passion and creativity that will form the internship and we look forward to hearing your ideas. Wherever you are in the world, if you believe you fit the description below, send us your resume and letter of interest to crew@emues.com. you will have the possibility to be a part of the global development of Emues. you will be included in the global team of Activists on the Emues blog and social media sites, with a description of who you are and why you do what you do. Do you think every band should have the chance to play for an audience that loves to hear their music? And wouldn’t it be best if anyone could suggest, promote and book concerts with only a few clicks? Yes? Well, maybe you would be interested in joining the Emues Crew! We are looking for individuals who want to join the revolution and spread the word that ANYONE CAN suggest, promote and book concerts. If you want to know what you can do to join the fun, let us know. 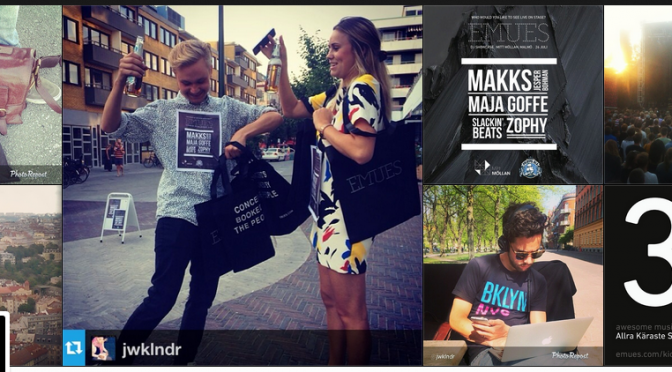 Send us an email to crew@emues.com and we’ll chat more. We are also looking for organizations, companies, and other networks who want to partner with us! As we expand globally this year, we would love to hear your ideas of how you would like to shape this live music revolution. Send us a message to crew@emues.com. Emues is seeking creative graphic design and videography students to conduct a few projects for our global roll-out of emues.com. Do you want to have the chance to create content for a groundbreaking service in the live music industry? This year we are going global and we would love to feature your work. We will be able to offer you global exposure of your talent and skills. Want to know a bit more about Emues? Check out our latest Newsletter and browse our blog. Are you interested? Please send us an email, including samples of your work or a website we can browse to Julia Wiklander, CMO at Emues (julia@emues.com). DO YOU HAVE A PASSION FOR MUSIC AND SOFTWARE DEVELOPMENT? Are you a master of HTML5, PHP, Java Script and CSS? We are now looking for you to join our team.